Let the hipsters have their fair trade, artisan-roasted pour-over coffees, or their Kyoto-style iced coffees brewed for half an hour in a setup right out of Edison's Menlo Park laboratory. 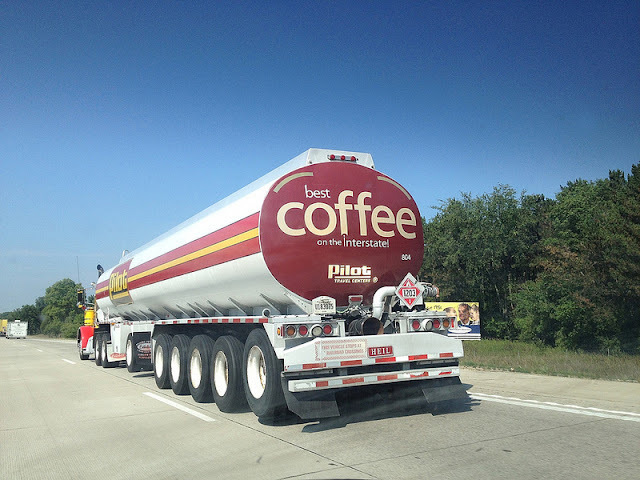 My coffee comes straight from a 9,000-gallon tanker truck ("Flammable Class 3"). That's how real men wake up in the morning.